At this time of year I make frequent detours down St. John’s Villas, a residential turning off the Holloway Road, to see how the Pears are ripening. These rare street trees and their fruit are pretty special – possibly unique. If you would like to read more, here’s something I prepared earlier. 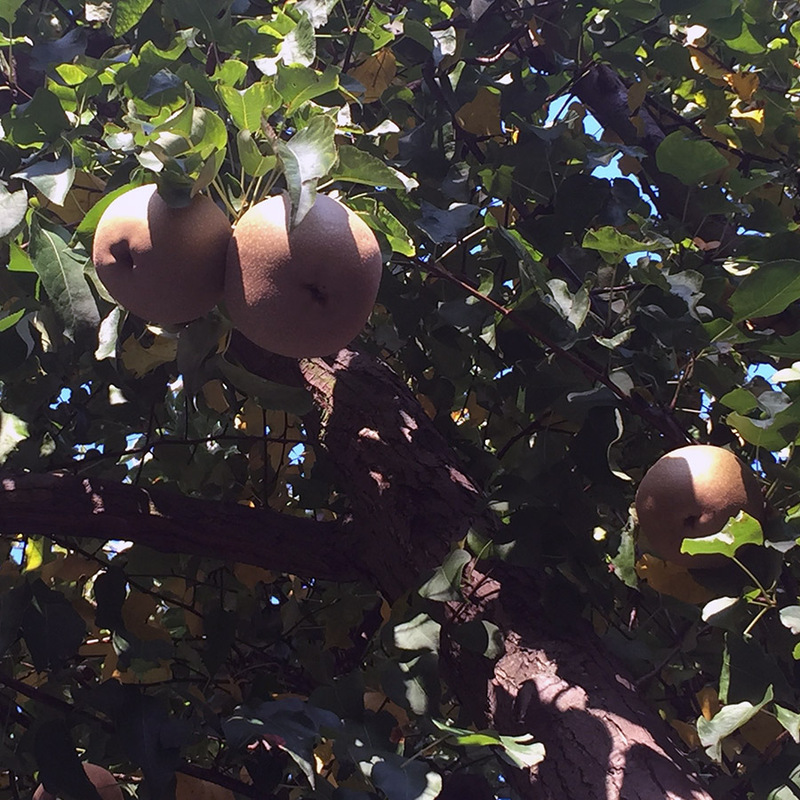 Ripe and juicy: Time to pear off? It looks like Islington are planning on picking the pears just as windfalls might start denting residents cars. 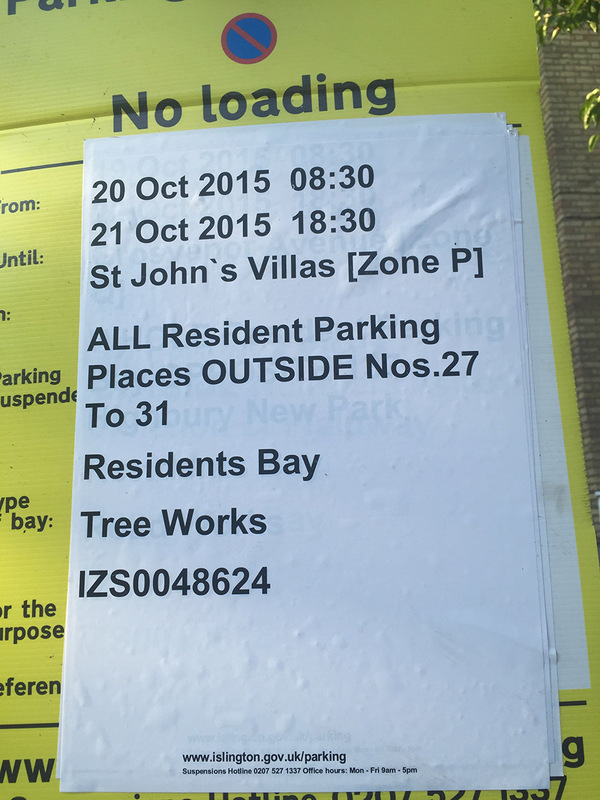 I can only assume ‘Tree works’ (scheduled for 20th and 21st October) is a euphemism for Pear Harvest. It’s unclear what happens to the fruits once they have been picked, do residents produce Islington Pear Cider with them? Perhaps the council sells them to craft Perry producers or do they just go for composting? In the meantime I’d like to think there will be a ceremony – a Pear Festival with Morris dancers and smock-wearing Islingtonians even, or at the very least an announcement less prosaic than ‘Tree Works’. GPS coordinates: 51.5656, -0.1295; Latitude and Longitude: 51°33’56.0″N 0°07’46.2″W.